a gorgeous green glaze in a Mid Century Modern Ceramic Green Lamp with a modernist design, a great example of Mid Century Modern manufacturing. 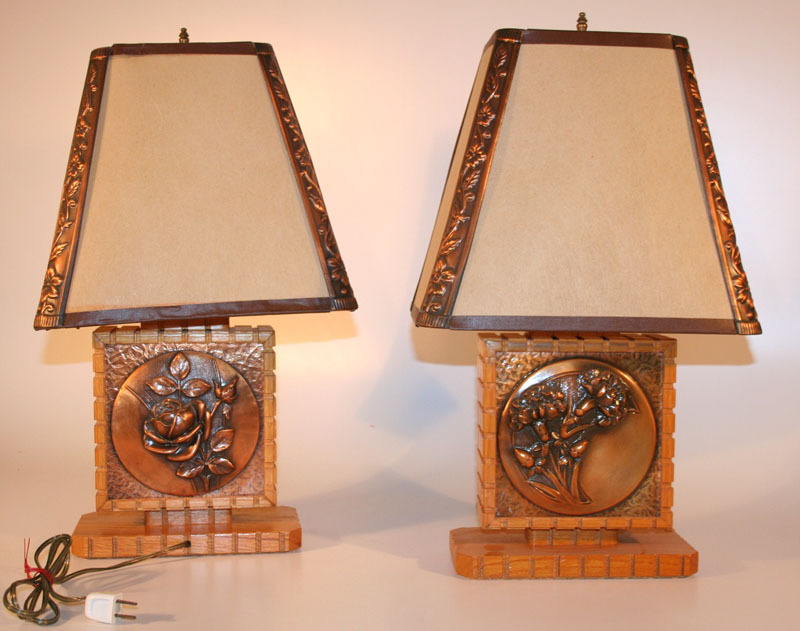 a spectacular Mid Century Modern Folk Art Lamp with a rare original pine cone shade. One almost never finds California redwood lamps with their original pine cone shade. This shade has some damage but the shade is so rare, why worry about a little fixable damage? a wonderful use of Nature in this Mid Century Modern Folk Art Lamp. Perfect for a Western setting or for the outdoor Mid Century Modern. a beautiful natural Mid Century Modern Folk Art Lamp by the craftsmen of California, a lamp that needs to be in hunting cabin. 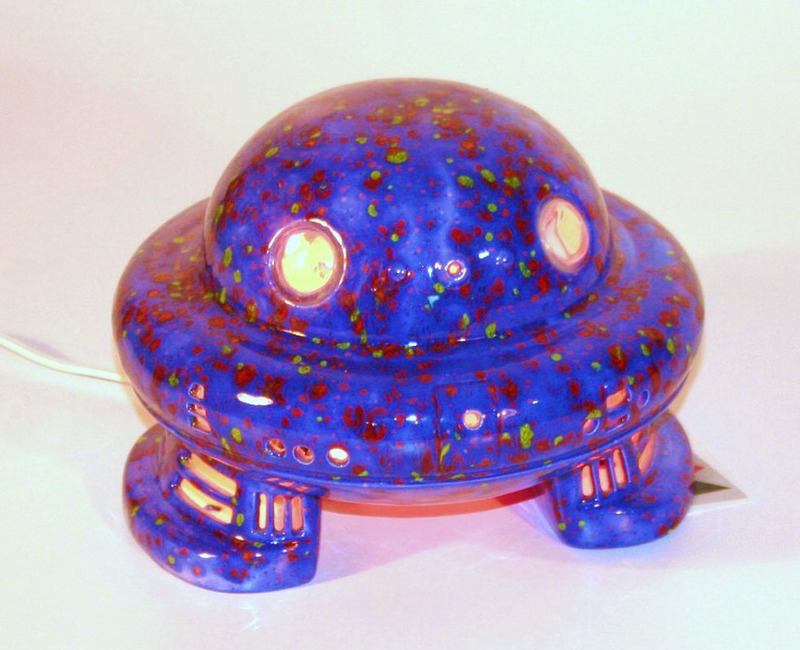 The origins of this Mid Century Modern Lamp are in doubt. The unique construction seem to reflect a folk art manufacture with small production runs. But the look of the lamp is classic Mid Century Modern. 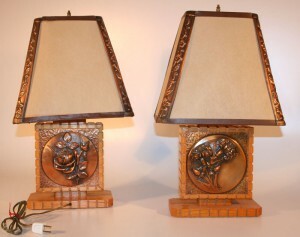 Signed pair of Canadian folk art lamps made of copper with original shades.